Many people e-mail me regarding a tutorial or an article for N-tire architecture in .Net, so I have decided to write on the subject. This will explain you with the help of source code. It's good practice to explain with an example, so I have attached a small project with source code where I used N-tire. N-Tier is an architecture where different layers are maintained and developed independently. You can implement distributed application design pattern in you application. Two tier and client server applications may seems easy to implement and easy to use for rapid prototyping but these applications can be a pain to maintain and secure over time. In a usual implementation, for example, you will most likely have at least some of the following layers, if not all: Presentation, Business Rules, Data Access, and Database. In some instances, it could be possible to split one or more of these different layers in to many different sub layers. It is possible to develop each of these layers separately from the others, as long as it can communicate with the other layers and adhere to the standards that have been set out in the specifications. Presentation Layer: Its also call thin client. The presentation tier is the tier in which users interact with an application. 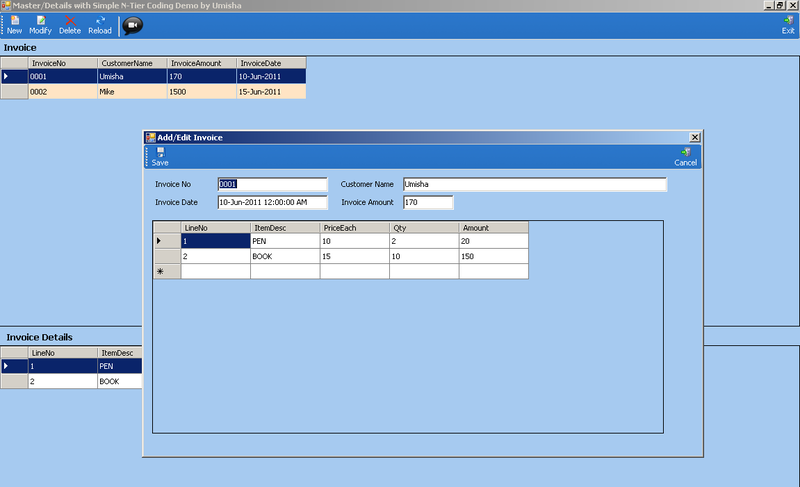 The presentation logic layer consists of standard ASP.NET web forms, ASP pages, documents, and Windows Forms, etc. Business Logic Layer: This tire is mainly working as the bridge between data tier and presentation tier. 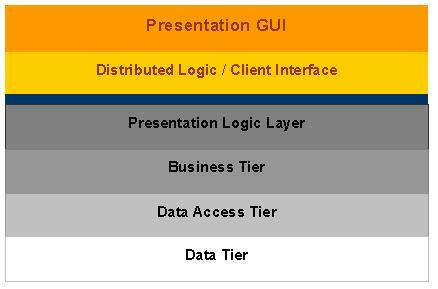 Business tier is the sum of business logic layer, data access layer and value object and other components used to add business logic.